With so many risks to data security, businesses need to be on alert to ensure their policies and devices are compliant with legislation. The risks to your business are enormous, especially given that costs for compliance failure can run into the millions. But with so many compliance problems facing businesses today, how can any business be sure that they’ve got the right policies in place? To help out, here are 5 of the most common IT compliance issues facing organizations today. The EU’s General Data Protection Regulation is the biggest legislative change to how businesses handle data in many years. Due to its extra-territorial nature, it doesn’t matter if you’re an American business. If you deal with EU citizens in any way, you’re going to need GDPR compliant policies or face multi-million dollar fines. That means customers, visitors, or employees. You need to ensure data is secure and only accessed by appropriate personnel. You should also delete data when it’s no longer needed. Find out more about how GDPR can affect US companies here. Many companies are choosing to allow their staff to bring in their own devices to work from. This is to help reduce costs and to stop staff having two devices (such as smartphones or laptops) for both personal and work use. Security compliance when it comes to BYOD policies is essential to keep data secure. You need to ensure that trained IT staff have the ability to control data on those devices. With these sorts of regulatory and compliance issues to consider, you should consider these best BYOD practices from the American Bar Association. Hackers will use every exploit they can to get control of your data. If you have a significant data breach, negligence due to technical neglect will increase any likely fines. It’s important for organizations to keep their IT systems secure from computer exploits or bugs that can allow hackers to gain access. For IT departments, regular software updates should not be neglected. Don’t leave your data security to chance. Here are some important reasons why regular software updates are important for all businesses. We’re living in an increasingly interconnected world, where everything from our door alarms to our coffee machines have network connections or internet access. Unfortunately, for compliance standards to sufficiently met, organizations need to audit whether these devices are safe and don’t put existing IT compliance policies at risk. If a device is collecting data, you need to audit it. Is it compliant with existing legislation? How is that data being saved, and who can access it? Is there consent to record data from everybody involved? Ensure your business has an effective IoT policy with these 10 steps for IoT compliance. If you’ve been watching the news recently, you may have noticed the roasting that Facebook has been getting in Senate hearings. The problem relates to how Facebook has previously allowed data to be shared with third parties. Given new legislation like the GDPR, this is a real area for potential IT compliance failures. Your organization should have appropriate policies for data-sharing with third parties. Share data only where necessary, and only with the appropriate personnel. If you need to share personal data, it will need explicit consent from the persons involved. Encrypt any personal data and never, ever allow it to be shared over insecure communication forms like e-mail. Legislation and technology changes can cause compliance issues for previously compliant businesses. 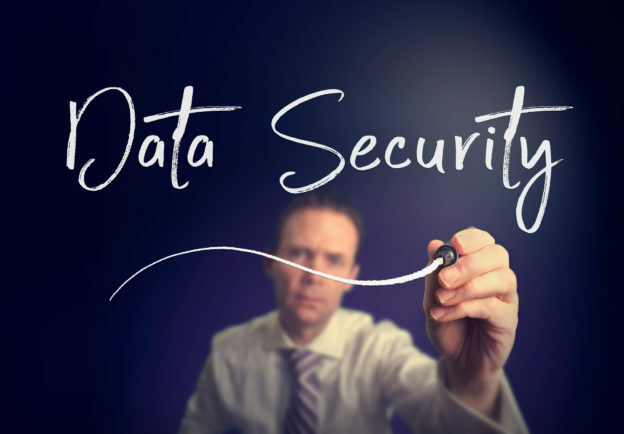 Ensure strong data protection and handling policies in your organization. Be sure to understand the dangers to data security that new technology like IoT devices can bring. Do you need help confirming whether your business or organization is compliant? Contact us for an appointment to discuss your options and requirements.